This chaotic week is making my head spin after traveling 360° from Utah at the end of May to Ohio and back during the past two months. At my return in Salt Lake City, I promptly communicated with a local artist, I, unfortunately, missed the last time around. Desarae Lee is a talented artist and illustrator who lives and works in Salt Lake City. Her art has appeared in galleries and art shows across the US and she has won numerous awards for her work including Best of Show, Best Illustrator, and Featured Artist. Desarae a published author and illustrator serves as a founding board member at Salt Lake City’s Downtown Artist Collective, where she can occasionally be found teaching drawing or printmaking. 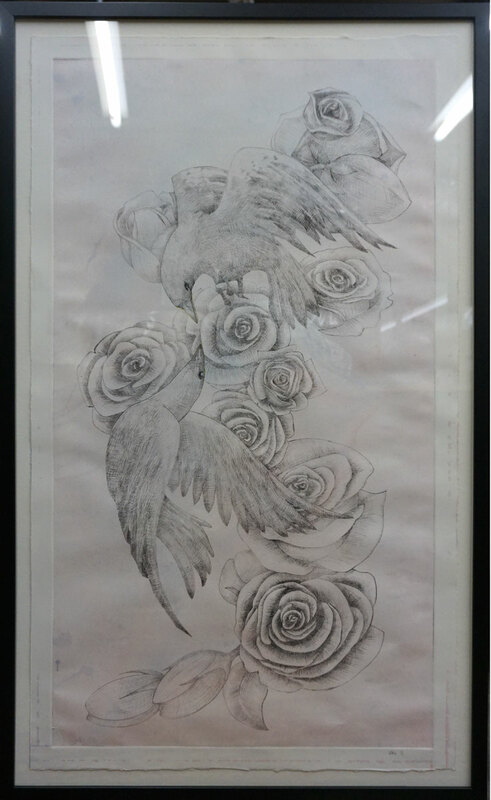 Desarae works primarily with pen and ink and balances exact meticulous line-work with natural flowing compositions. Over time, her art has developed organically to include watercolor, tea staining, and printmaking. Influenced by personal trauma and struggles with depression and anxiety disorders, Desarae naturally creates work that revolves around themes of finding humor in pain, beauty in the grotesque, and light in the darkness. Desarae’s work ranges in the themes she develops but her work inevitably attempts to connect the deep places in herself to the unknown places in a potential viewer, to somehow create a bridge of communication over the immense expanse of our differing perceptions, beliefs, and experiences. I enjoyed the hour spent talking with Desarae in her studio and I’m looking forward to meeting more and more artists on this fruitful journey. In the next couple of weeks I will be in the area of Houghton Michigan.